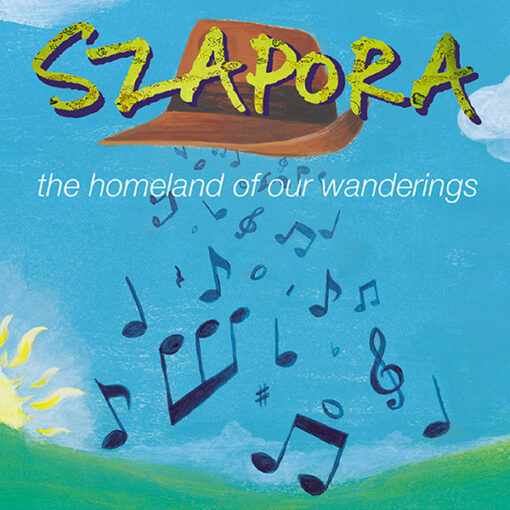 The Homelands of Our Wanderings is the latest CD by Szapora, a British-based band that draws its repertoire from the Balkans: Romania, Serbia, Macedonia, Bulgaria and in particular the gypsy heritage of middle and eastern Europe. They produce energetic and heart-wrenching music, turbo-driven by two accordionists – Luke Goss (UK) and Polish gypsy virtuoso Vanja Krawczyk (Poland) – and sung by Sarajevan sisters Téa and Mirella Hodzic. The line-up is completed by Bosnian guitarist Mirza Halilovic and four more Brits, including Dave Kelbie on mandolin, guitar and darbuka. Kelbie is a familiar mover and shaker on the Gypsy jazz scene, but there’s no sense of contrived “fusion”. Szapora have developed a style of playing that’s vigorous and free within the parameters of their Balkan/gypsy repertoire, which they perform with great relish. Intoxicating British-based exponents of Balkan music, Szapora first caught my ear through their connection with the jazz violinist Christian Garrick. A chance encounter at Womad with the group’s Bosnian singer, Tea Hodzic, whetted my appetite further. Though Garrick has gone his own way (Oli Wilson-Dickson fills his role), the band has lost none of its dynamism. 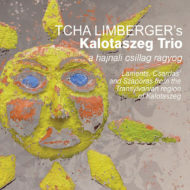 Recorded in deepest Abergavenny, the music evokes an enchanting breakneck journey through eastern Europe’s byways, every note oozing authenticity. Dave Kelbie’s guitar sways in the background as the accordions dance their ritual steps. The Homeland of our Wanderings is the third record by the group, and it really could be their breakthrough. The music is strongly rooted in the east European traditions, a little like Goran Bregovic, but above all, the tradition is very subtly treated. The group also has (very much) its own sound, and it has to do more with the leading rhythm guitar and arrangements by Dave Kelbie than with the extraordinary & astonishing voices of the two Bosnian sisters. It naturally helps that we are faced here with top musicians who enjoy playing with more than obvious pleasure. This is how it happened to us – we put the CD on, listening with half an ear while we were doing something else. Yet there were a couple of songs that immediately caught our ear, such as the moving Ne Kuni Me Majko, where Kelbie with a remarkable rhythm on his guitar delivers an impressive performance, while the violinists play a languid melody on top. Truly magnificent! A few numbers convinced us to put on the CD again just to hear it with more attention. Then some more jewels came up. After a third and fourth hearing a wonderful thing happened that happens only with really great music – the music became better and better, and continues to grow over the days. Only really great bands dare to play slow tunes and pull it off. Such is the case with this group. Lofty, melancholic, and yet at times pure party music, in which the melancholy is always present beneath the surface. A world-class record of over 75 minutes. The group Szapora are based in London but their musical homeland is on the other side of Europe: their repertoire has a 99% focus on Balkan and Eastern European music. The line-up is not standard. 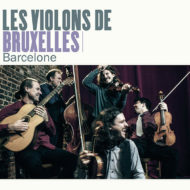 Musicians from Central Europe have teamed up with British musicians who are well respected for their work in other, non-related styles, including jazz and classical music, except for guitarist/mandolinist Kelbie who has worked with Fapy Lafertin and Bireli Lagrene. The Homeland of our Wanderings is their 3rd CD and has a good chance of becoming their breakthrough album. Not without reason: analogous to their first 2 CDs we find 17 songs that hold their own. Mainly traditionals from Romania, Macedonia, Serbia and Russia, love songs, dance tunes, instrumental and vocal, where special praise goes to the fantastic singing of sisters Mirella and Téa Hodzic. But we can’t pass over the sublime interplay of the instrumentalists, with a leading role for fiddlers Oli Wilson-Dickson and guest Rachel Wilson-Dickson, and accordionists Vanja Krawczyk and Luke Carver Goss. Apart from the traditionals, Szapora play covers of Saban Bajramovic’s compositions (Opa Cupa and Sila Kale Bal) which Saban recorded recently with Mostar Sevdah Reunion) The cover of old Spanish hit SR is a very unlikely but well executed choice. The Homeland of our Wandering is without doubt a great listening trip from party music to pure melancholy, but word on the street says the group is especially exciting live. I don’t feel in the least inclined to doubt that statement. FRINGE BENEFIT – music from the outer reaches. Formed in Britain in 1995, Szapora is a nine-piece featuring musicians from Poland to the Balkans who draw on the folk, gypsy and jazz traditions of Eastern and Central Europe. In the past the band has mostly applied itself to stirring instrumentals but for this latest album the song’s the thing: a mix of traditional and relatively new material given soulful voice by two sisters from Sarajevo, which allow the band to explore richer, more nuanced emotional territory. 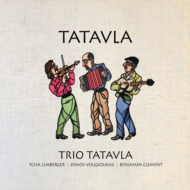 The romantic melancholy of the accordion, fiddle and guitar sounds almost unbearably exotic to jaded British ears; certainly, the language issue is no barrier to the yearning, nomadic spirit this record taps into so fervently. The only thing better than buying it, would be to see the band perform it live. SZAPORA is the UK’s best Balkan band and this is their most soulful record to date. Most of the music comes from countries of the former Yugoslavia with plangent accordion, dashing violin and fizzling guitar. The band’s great assets are the Bosnian vocalists Mirella and Téa Hodzic and the Polish Gypsy accordionist Vanja Krawczyk who bring an authentic Balkan flavour. But the Brits – guitarists Dave Kelbie and Dylan Fowler; accordionist Luke Carver Goss and bassist Paul Moylan – also have a lot of experience with this music and have totally absorbed it. This CD sounds natural and organic like a genuine musical party, with moments of thrilling ebullience and virtuosity, but rather more moments of retrospection and nostalgia – like most real parties. All that’s missing are the clinks of plum brandy glasses and the sound of sorrows drowning. Play to anyone who complains about immigration. 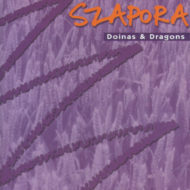 Szapora is an English band that has been playing balkan music since almost ten years now. Four of the nine members are from Bosnia and Poland, the rest are from Britain. 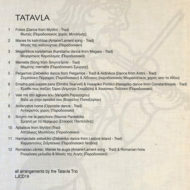 On this recent third album most of the music is traditional, but there are some modern compositions as well. 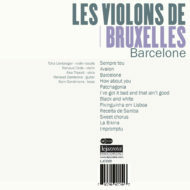 The album is recorded live in a studio and feels spontaneous, varied and vivid. The sisters Mirella and Téa Hodzic from Sarajevo do most of the singing, and they do it great. 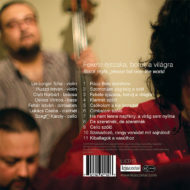 The instrumental piece Ne kuni me majko combines tranquil violins with an intense rhythm section – amazing. Two accordionists, occasionally a clarinet but mostly strings and percussion. A fine record, really. 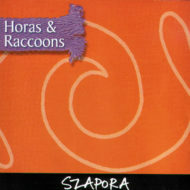 Szapora, already known as one of the best European bands performing music of the Balkan peninsula, with a line-up hailing from at least three countries, play to their strengths on this, their third CD. The recording sounds live in the studio, with perhaps a tidying-up here and there, and it retains the energy and warmth of a good show. New members, guitarist Mirza Halilovic and accordionist Vanja Krawczyk, are very useful additions to an already fine band, who have a good deal of knowledge of and dedication to their chosen music. 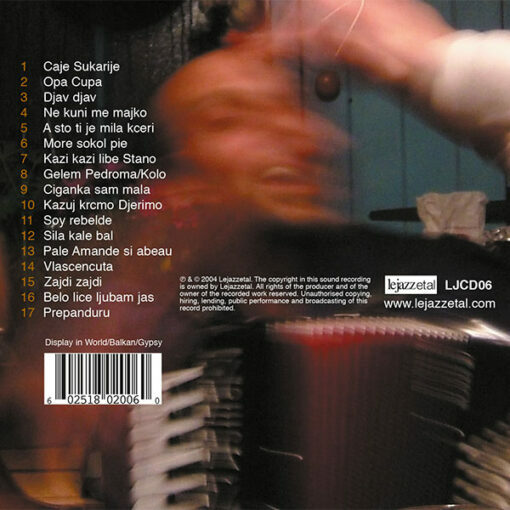 Luke Goss’s accordion and Oli Wilson-Dickson’s violin are idiomatically fluent and not over emotional, and the whole band backs up singers Mirela and Tea Hodzic beautifully ( for instance on the lovely ‘Kazi, Kazi Libe Stano’) and do a good job of negotiating the sometimes tricky irregular rhythms of this music. For my taste there is too much Gypsy here, ostensibly passionate but often a little hollow at it’s heart. 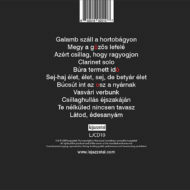 But there can be no quarrel about the excitement in the music, and the gentler songs – ‘Belo Lice Ljubam Jas’ is an outstanding example – are very effective, with a true emotional charge. Szapora are at their best on stage, but this CD captures the thrill of their live shows very successfully, and not only will it work as either a souvenir or a curtain-raiser, it’s also a very attractive piece of work on it’s own terms. For the last 10 years the Englishman Dave Kelbie has been looking after the Gypsy music in his country. 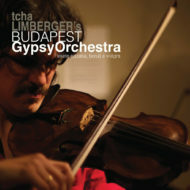 He organises concerts, plays with many musicians from the Balkans and founded Szapora, a multinational Gypsy band, for whom traditional themes from Serbia, Bulgaria, Russia, Romania and Hungary take centre stage and are interpreted in a lively and yearning fashion. Here it’s the accordion, violin, double bass and guitars that are the centre of attention, rather than the infamous brass. Szapora is an English band with an eye on the Balkans and they shine with enthusiasm and technical brilliance. Szapora is an international band from London, with front women singers (and guitarists) from Sarajevo, Téa and Mirella Hodzic, as well as actor and singer from Paris, Mirza Halilovic. 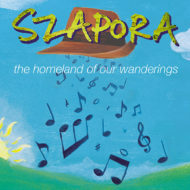 They are called “Szapora”, and their third CD “The Homeland of our Wanderings” received excellent critics in England as well as all over Europe. The band plays music from these parts, and is led by an excellent jazz guitarist Dave Kelbie, and also there are some first-class musicians such as Polish accordionist Vanya Krawczyk, violinist Oli Wilson-Dickson and Welsh guitarist Dylan Fowler. They recorded this album at one of their tours in Wales, where they are very popular. Their repertoire includes sevdalinkas and Roma numbers as well as Macedonian and ballads, music not only from our former homeland but also from all over the world. Band can not only swing very strongly and achieve (create) passionate atmosphere, but also offer “Panonic” melancholy that is so familiar to us, while sisters Hodzic and Mirza Halilovic shine and create an excellent contrast. All in all, this is not only the record for weddings and celebrations, but also for those who will enjoy outstanding instrumental performance as well as excellent vocal interpretations. There is a possibility that band Szapora will visit Sarajevo, this Summer, to do a concert and record a documentary program. UNLIKE previous albums, which have, essentially, been instrumental with a couple of songs thrown in, this is just the reverse. That’s no bad thing. The soulful voices and heart-rending songs of Bosnian sisters Téa and Mirella Hodzic have been sidelined for too long. Additionally, a new singer, Mirza Haliliovic, also from Bosnia, joins the line-up. Another significant change is the loss of Christian Garrick – a violinist in a class of his own. But, if they’ve lost one instrumental virtuoso, they’ve gained another in Polish piano accordionist Vanja Krafczwk, whose playing is truly breathtaking. A strong Welsh contingent adds to the band’s power. 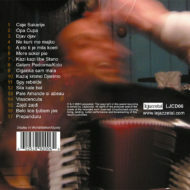 Luke Goss contributes diatonic accordion, Oli Wilson-Dickson violin and Dylan Fowler’s clarinet is particularly notable. 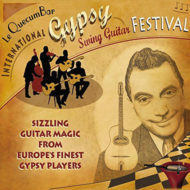 It’s a line-up of which founder, guiatarist/mandolin player Dave Kelbie, should be immensely proud. While some things have changed, one constant is the type of music Szapora play. 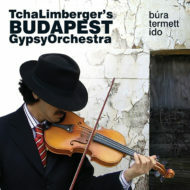 As with past albums, this is a collection of, mainly, central and eastern European Gypsy music. Much is traditional, though several songs are from the pen of legendary Serbian singer, Saban Bajramovic. One exception is an interpretation of the 1960s Spanish hit Soy Rebelde. It sits quite comfortably among the other pieces. At times acutely melancholic, at others emotionally exhilarating, the band always performs with a flair and a vitality that should, in a just world, make this album a huge success. After the opening of borders toward the East, each western country has a several orchestras (bands) with the same estetics of expression. Almost half of the members of the band are originally from Bosnia (Mirella and Tea Hodzic – vocals, Mirza Halilovic – vocals & guitar) and from Poland, (Vanja Krafczyk on accordion), who bring an authentic colour to the sound of the band. The second half of the band is composed of the experienced British musicians who adopted this kind of music (Dave Kelbie who accompanies very often Fapy Lafertin, Oli Wilson Dickson, Luke Carver Goss, Dylan Fowler and Paul Moylan) who, altogether, mix their roots and cultures with courage and conviction. 17 songs mostly from the Balkans (Serbia, Macedonia, Romania) some of them very well known (Caj sukarije, Opa-cupa) all the time changing the rhythm and tempo. Sometimes very rapid and energetic with the powerful sound of the accordion violin and guitar, and sometimes soft, light and melancholy. The authenticity of the sound comes mostly from the arrangements of Dave Kelbie. (for example a fantastic old Serbian song, “Ne kuni me, ne ruzi me Majko” with it’s beautiful arrangement). 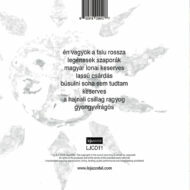 The original words of the songs are all printed on the cover of the CD alongside the the English translation also. Altogether, one very good CD.